Spin the reels of a scary slot today at Red Stag Casino with a special 150% bonus up to $600 and an extra 150 free spins on top! Redeem the special snail mail bonus code MAGIC150 before your next seven deposits of $25 or more to claim your free bonus cash and Black Magic slot free spins. There is no limit to how much you can win with this bonus until April 30th, 2019. Red Stag Casino accepts players from most countries except Canada and most US states are welcome. Good luck! Claim 7 times! Standard bonus terms apply including wagering requirements. No maximum cashout. $25 minimum deposit. Expires 30 April 2019. 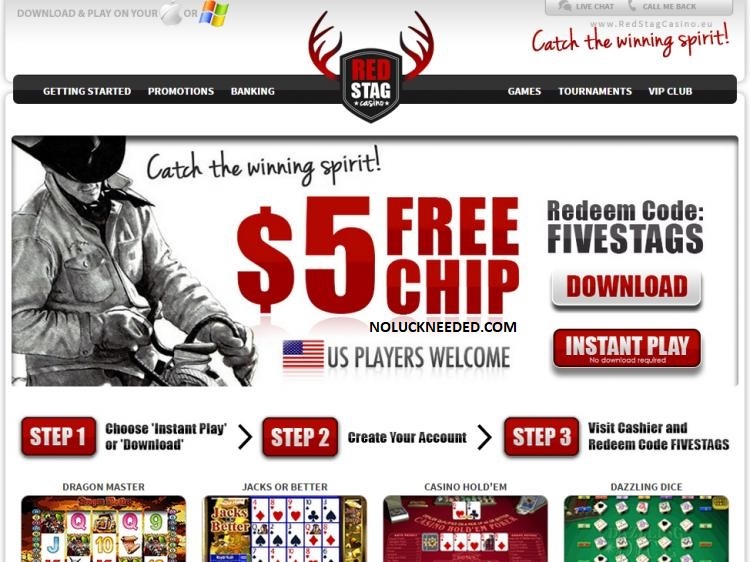 Claim Your $5 Free Chip at Red Stag Casino!